The British daily newspaper has a solid write up of Hearthstone. It doesn’t describe much beta-players and close watchers won’t already know but it’s a good read regardless. 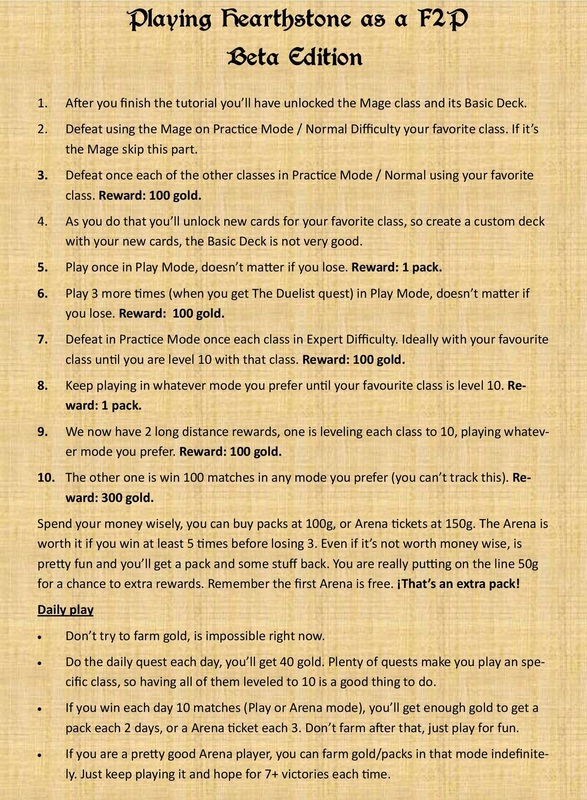 The author, Rich Stanton, has some good quotes from Eric Dodds and Jason Chaynes about Hearthstone’s simple game mechanics as compared to other CCGs and the difficulties of playing those games online. Staton also comments on the paradoxical fun of the Arena. He, like many, enjoys the Arena the most but finds the gold flow too slow for regular runs. Blizzard is walking a tight rope to find the proper balance between earning money from Hearthstone and opening up all the play modes easily. The other major highlights? There’s one more patch coming before the game is launched, which is still slated for this year. The beta-less shouldn’t fret too terribly – everyday brings the game’s official launch closer and closer. Staton’s article is available here. Well, he probably does. Who doesn’t? But he’s careful and doesn’t leave the construction of Hearthstone to chance and whimsy. In a previous column I discussed the issues with the coin that most players are stirred up about. It’s a hot button issue – the coin has proponents and detractors. Hearthstone’s forums are brimming with threads discussing, at length, the impact of that little card. 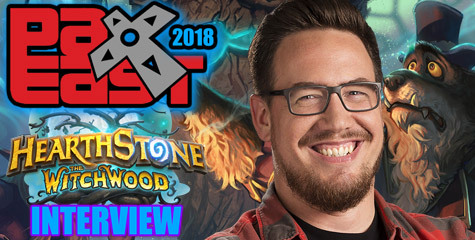 But none carry as much weight as the words of Mr. Brode. In a post on the Hearthstone forums Brode details the history behind its inception, the logic for its purpose, and the hard numbers of the coin’s actual significance in games. 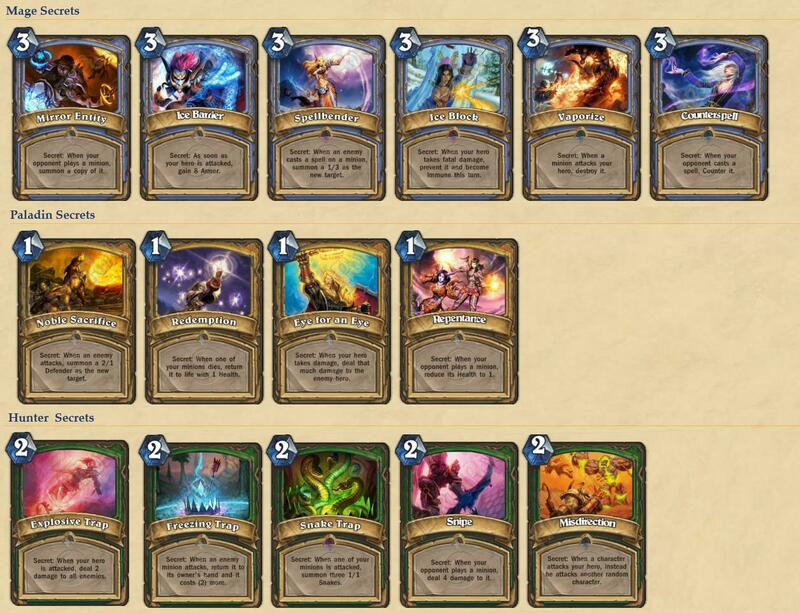 With Hearthstone’s systems closely monitored by developers the figures aren’t amorphous, specific samples from a handful of games but rather a complete and exhaustive data set. And they provide some incredible insight into the coin’s impact. Across all leagues, 52.2% of wins are for the player who goes first. In master league, where the giants fight, that imbalance shrinks to 50.4%. The advantage of going first isn’t insurmountable and the coin seems to be fulfilling its role as a field leveler. The passionate responses it stirs may be more related to its potential for momentum shifting: dropping a heavy minion a turn before it’s expected or delivering a powerful combo attack (as has been done to me with frustrating regularity). Arena statistics aren’t provided, but further in the thread a player asks and Mr. Brode answers. The results are similar to standard mode, a slight advantage to going first but it isn’t significant. The coin is here to stay. I’m happy the developers provided numbers about the coin’s use and impact during a game rather than simply stating a position and expecting the players to live with it. The statistics and comments may not convince everyone but it convinces me. It’s not a game breaker, just a light touch on the scale. 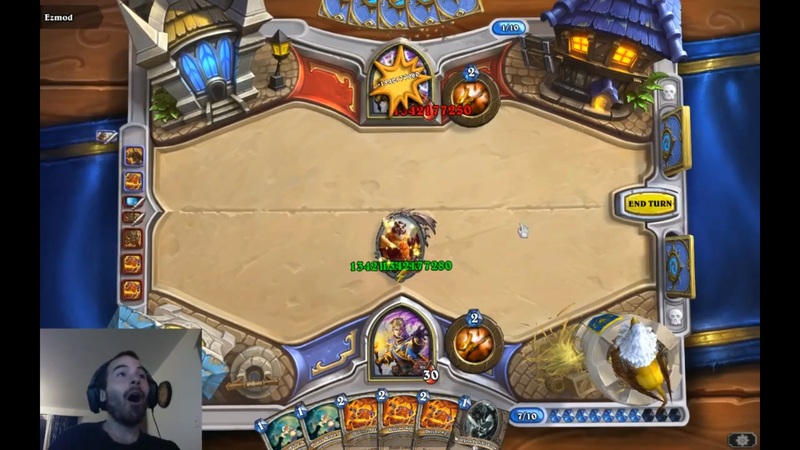 Hearthstone Beta – Just got in Beta? What to do first? If you can’t see properly, Click on the picture. This should be definitely useful to all Hearthstone Players! ManaGrind and Noxious were having fun buffing and created something very special for all the Hearthstone fans to see. A picture is worth a thousand words. 1.3 Billion Attack & Health Lorewalker Cho. They also have it on video! 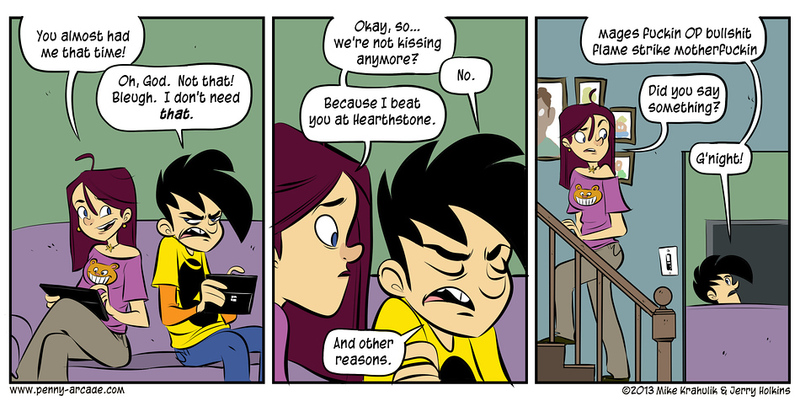 Penny Arcade had some fun over the weekend, made a couple of funny Hearthstone comic strips! 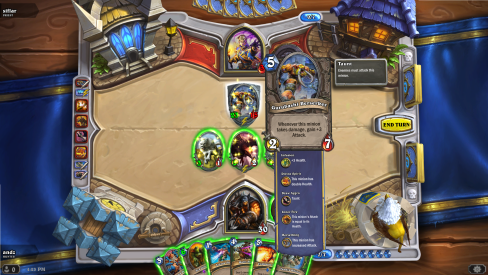 I had some free time in the afternoon, so I did a quick match in Hearthstone Beta… and whoa.. I didn’t expect things to get this crazy. Yes that’s 23 Attack / 15 Defense on a creature. I still won though, he had only 3 health left and his creature couldn’t attack my hero. Had one taunt creature, he had to force himself to attack it, then on my turn just used Arcane Shot & Steady Shot to get the win! 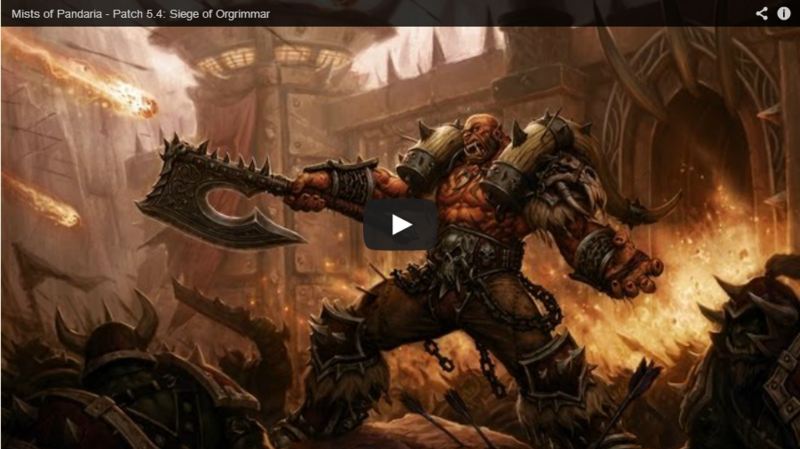 Blizzard has just released the trailer for Patch 5.4: Siege of Orgrimmar and it is amazing! Probably my favorite patch trailer they’ve ever done. We see exactly how the Vale of Eternal Blossoms became corrupted, and a showdown between Taran Zhu and Garrosh that’s been a long time coming. Let’s just say it doesn’t end too well for one of them. Now that you’ve watched it, lets discuss something I found interesting about this trailer: Garrosh’s reason for destroying the Vale. He claims “the heart thirsts”, and this along with several quotes datamined from the actual Garrosh fight allows us to draw the conclusion that the heart of Y’Shaarj is directly telling Garrosh what to do. This of course opens a can of worms in regards to what is really going on here, and who exactly is in charge. Dave Kosak has been adamant that Garrosh is not corrupted, he is fully in control of his actions here, and yet the heart is giving him directions. What can we take from this? There is of course the idea that yes, Garrosh is corrupted if he’s taking instructions from an old god, but there’s another, perhaps more chilling idea. Could Garrosh be listening to Y’Shaarj and fulfilling the hearts will for his own gain, of his own free will? In other words, is he the one controlling Y’Shaarj? Y’Shaarj is in a state of existence we haven’t seen any old gods in before, a “dead dead” state according to Blizzard. Perhaps he is weaker, unable to corrupt someone as strong-willed as Garrosh, allowing the Warchief to use an old god as a tool. The idea of a mere mortal controlling an old god is a tantalizing one, and assuming this is what Blizzard was going for, I’d love to see it explored further. Anxious to play Hearthstone yourself? Are the Twitch specials and Fireside duels not satisfying your curiosity and anticipation? If you’re able to attend Gamescom this year, you’re in luck. Blizzard and the Hearthstone developers will be hosting the first public playable versions of the game in Germany this year. Blizzard will host several sessions of Hearthstone during the trade fair. Hearthstone’s lead artist Ben Thompson will also be showing off his artistic talents with live drawing and sketching. There are also quizzes, Q&As, developer signings, and a Warcraft dance contest. 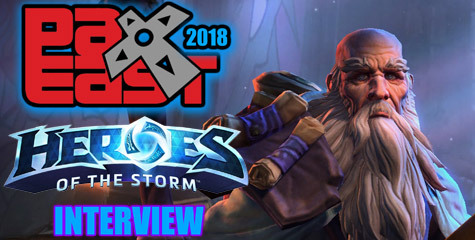 Check Blizzards’ complete schedule to find the events that pique your interest: Schedule for Gamescom 2013. Blizzard has announced a new update to the Cataclysm raid dungeon lockout system which allows flexibility to guilds and PUGs. You can do a 25-man Marrowgar up to Saurfang attempt, and later a 10-man Blood Queen attempt and you will get the same loot in both type of raids. The way players are individually saved has changed too and you can check it out in your raid info tab. Bashiok posted a very extensive explanation of how this dungeon lockout system works. More details after the break. [BLUE]Almost six months ago we announced that Cataclysm raids were being redesigned to make both raid sizes the same difficulty, drop the same quality of loot, and exist in the same lockout. This evolution in raid philosophy is built on the belief that the size of your raiding group should be a choice based solely on what’s more fun and enjoyable for you, and that you should not have to complete the same raiding content twice in a week to maximize your character’s progression. These systems are the culmination of a great deal of design and player feedback from the last few years. With the release of the 4.0.1 patch, the new Flexible Raid Lock system will debut in Icecrown Citadel and The Ruby Sanctum. With the Flexible Raid Lock system, instead of being locked to a specific raid size or raid group, each character will have the opportunity to defeat each raid encounter once a week. You could kill Lord Marrowgar and Lady Deathwhisper with a 10-player raid on Wednesday, join a 25-player raid to kill Festergut and Rotface on Thursday, and then lead a completely new 10-player raid to kill The Lich King on Friday. Every raid has a list of encounters associated with the zone. For example, Icecrown Citadel has twelve encounters. After you defeat Lord Marrowgar, you can open up your character’s raid information dialog and see the list of encounters in Icecrown Citadel with Marrowgar marked as defeated. You may no longer fight Lord Marrowgar with any raid size or difficulty until the weekly raid reset for your region occurs. Another key change is that if you join someone else’s raid in progress, you are no longer locked to that raid after merely zoning in. Your raid status will only change when a boss is defeated, at which point it will be updated to reflect the state of the instance in which you are currently participating. So, let’s say you have killed the first four bosses of Icecrown Citadel, and you then join a raid that has defeated the first four encounters, as well as Festergut and Rotface. The dialog that displays upon entering Icecrown Citadel will show that the raid has defeated 6 of 12 encounters. If you help them defeat Professor Putricide, then you would be marked as having defeated not only Professor Putricide for the week, but also Festergut and Rotface. If instead after joining the raid you then proceeded to wipe ten times to Professor Putricide, you could leave the raid with only the first four bosses marked as completed. To help communicate to players which bosses are dead in the raid leader’s raid, there is new functionality to link in chat a list of the encounters the raid has defeated. So before you join a raid, you can see what they’ve already defeated. If a raid leader advertises in chat that she needs another healer for an 8/12 Icecrown Citadel run, you can see precisely which bosses are still available to fight. If you were only looking for that one item from Queen Lana’thel that never drops for you and this raid already defeated her, you will know not to join that raid. Let’s look at another example of the Flexible Raid Lock system. A guild schedules three nights for 25-player Icecrown Citadel raiding on Wednesday, Thursday, and Saturday. On Wednesday, the raid defeats Lord Marrowgar, Lady Deathwhisper, Icecrown Gunship Battle, and Saurfang. On Thursday, five people cancel their raid attendance due to real life emergencies. The raid leader knows that if he cancels Thursday raiding, there’s little chance they’ll have enough time on Saturday to defeat the other eight bosses in Icecrown Citadel. So he splits the remaining 20 Thursday raiders into two 10-player raids. Each new raid enters Icecrown Citadel and defeats Rotface, Festergut, Blood Council, and Valithria Dreamwalker. The next Saturday with all 25 players online, they reform as a 25-player raid and enter Icecrown Citadel once more. Only Professor Putricide, Queen Lana’thel, Sindragosa, and The Lich King remain. After a tough fight, the Lich King falls and everybody celebrates. Without the Flexible Raid Lock system the entire raid probably would have missed out on a night of raiding, and likely would not have reached the Lich King. While players can freely move between raids of different sizes in normal difficulty, there are some additional rules for Heroic difficulty. If a 10- or 25-player raid defeats a boss on Heroic difficulty, then those players may now only raid additional Heroic encounters with that specific raid. If your Heroic 25-player raid defeats the first four bosses of Icecrown Citadel on Heroic, then they may not split up into two 10-player raids and continue to fight in Heroic difficulty. You may also not join someone else’s raid if they have defeated a Heroic encounter. But let’s say you are a member of a Heroic raid in Icecrown Citadel, and after killing Lord Marrowgar on Heroic you have Internet connection issues that prevent you from raiding for two nights. During those two nights, the rest of the raid kills everything. Without the Flexible Raid Lock system, you would be done with raiding Icecrown Citadel for the week. Ouch. With the Flexible Raid Lock system, you can join someone else’s raid as long as they are doing Normal difficulty. This would at least give you the opportunity to earn your Justice Points for the week. If this raid attempted to switch to Heroic difficulty for Icecrown Gunship Battle with you in the raid, the raid leader would receive an error message stating that she cannot change to Heroic, because someone in the raid (i.e., you) is already locked to a different Heroic instance. Really hope you took screenshots of your Beta guild members because with the recent patch guilds have been wiped in order to implement new changes in the guild system. Otherwise, feel free to create a new guild and hopefully some people will catch up, or simply start from scratch. There are plenty of beta testers to recruit, and more players keep getting beta invites as we speak. I have met a few in-game who just got the invite and will gladly join a guild for guidance and support on where things are and what to do. There is some maintenance going on right now for the beta realms that will wipe all existing guilds in beta. Several things have changed with the guild system since it was first avaialble and we want to ensure that all testing efforts from the beta realms are with guilds that started from a good place. New guilds can be made after the maintenance has ended. World of Warcraft: Cataclysm Beta patch Build 13117 was deployed in beta servers. It’s a bit over 100MB in size, no big deal. Portals at the Valley of Wisdom (upper level) and northwest of Stormwind Keep are now available: Uldum, Vashj’ir, and Mount Hyjal. Up until now, only Twilight Highlands and Deepholm were available. Now all five are open for use. Players taking the Vashj’ir portal at the Valley of Wisdom are transported to the Tenebrous Cavern (Horde) or Darkbreak Cove (Alliance) in the Abyssal Depths. The Uldum portal in Orgrimmar takes you to Ramkahen (next to Prince Nadun). The Mount Hyjal portal takes players outside the Nordrassil Inn. J!NX extended The Return of the Super Colossal Sale promotion until October 4 at 11:59pm. In this promotion, fans get the deal of $7 off all t-shirts (including World of Warcraft, Starcraft II and Diablo III). Offer is not valid with any other discount or promotion. Blizzard Entertainment has dropped the Banhammer on 5,000 Starcraft II players who did not listen to the recent warning concerning cheats, third-party software, and exploits. Blizzard updated the Faces of Cataclysm page by adding Cho’gall among other heroes and enemies. Cho’gall appears in the open world during a quest line given by Garona Halforcen in Twilight Highlands. You can find Garona at Bloodgulch. After you complete her quests, do the quests sending you to the Maw of Madness, and the red dragonflight quests in the Circle of Life and Grim Batol. This will lead you straight to the Twilight Citadel outdoors after a red drake transports you nearby. There you will pick up again with Garona for a series of quests, and you will meet Cho’gall and his Gronn chosen during a cutscene. That reminds me of our video interview with Walter Simonson and Louise Simonson who told me at the New York Comic Con 2009 there were plans for Garona in the game. I almost cried when I saw Garona in the Cataclysm beta. I hadn’t seen her since Classic beta 2004 (at Ravenholdt Manor). Cho’gall is one of the bosses in the Twilight Citadel dungeon. It’s the first time Med’an is mentioned by Blizzard outside of the DC Comics World of Warcraft comic book. Hopefully, we will get to meet the New Council of Tirisfal at some point in this expansion or upcoming ones. Back on February 2009, Chris Metzen and Micky Neilson revealed during our video interview there were plans for Sargeras. It makes sense that the New Council of Tirisfal could be the Argent Crusade faction quest hub of that future content. [BLUE]Cho’gall’s sordid history is a testament to his unflinching desire to sow chaos wherever his dark influence extends. The first of the ogre magi, Cho’gall rose to prominence in the old Horde as chieftain of the orcish Twilight’s Hammer clan. His dubious loyalties became apparent when he abandoned the Horde during a pivotal moment in the Second War. In retaliation, forces dispatched by Orgrim Doomhammer slaughtered most of Cho’gall’s traitorous clan, forcing him and his surviving cohorts into hiding. Over the following years, the ogre mage molded the Twilight’s Hammer into a fanatical cult devoted to worshipping the Old Gods — ancient harbingers of the apocalypse. Cho’gall’s obsession with these malefic deities led him to the ruined city of Ahn’Qiraj, where he began efforts to awaken an Old God by harnessing the immense powers of Med’an, the new Guardian of Tirisfal. Amazon has sent an email to its customers, including myself and Eldorian, to inform the delivery date for World of Warcraft: Cataclysm Collector’s Edition has been changed to an Estimated arrival date in January 2011. Amazon updated just a few days ago a similar email placing Cataclysm at November 23. There has been rumors these past days from certain websites the date would be December. And now Amazon says January. Some of these websites even say the Cataclysm expansion has been [delayed]. The fact is Blizzard Entertainment has never issued an official release date for World of Warcraft: Cataclysm. These sale companies are pulling dates out of their imagination possibly as a marketing strategy to stimulate pre-orders; or simply to do what normal fellow forum posters do when they want something to be reminded … they bump. In this case, Amazon is certainly getting a lot of attention from gaming sites — including Gamespot. It’s normal for gaming sites to believe these dates, but the truth is Blizzard Entertainment hasn’t issued any release date. Blizzard will release the Cataclysm expansion when it is ready. They can’t place a date when they can’t foresee possible bugs and issues arising after a build. The expansion is currently in beta testing, and none of the 25-man dungeons are available for testing. Many bugs are still found throughout the current build. A lot of content is still NYI (Not Yet Implemented). There’s no way for Blizzard to determine a release date at this point without even hearing beta tester feedback about the 25-man dungeons. The token system conversion hasn’t been implemented. We can triangulate a “possible month of release (not a date)” by reading the Arena Season 8 ends in October 13th. Arena Season 9 will start a week after Cataclysm ships. That might hint Blizzard has an internal release date goal, but not a final one. Nothing is certain or written in stone at this point. If you hear rumors, and magical proof of a release date — sorry to burst your bubble — but it’s not fact until Blizzard Entertainment makes an official announcement via a press release. Just ignore it along with those “the end of the world draws near” rumors. Cataclysm: Elemental Slayer Enchant … WoWs!!! There are some hot weapon enchants in World of Warcraft: Cataclysm that have beta testers excited for its special effects. It’s unknown to me if they are working as intended or not. The Avalanche enchant is a very luminiscent enchant with frost symbols. However, the Elemental Slayer Enchant is definitely the biggest, coolest and most psychodelic enchant in Cataclysm. It has a huge radius and the radiance changes color hue constantly. The Elemental Slayer enchant requires the following reagents: Hypnotic Dust x 5, and Greater Celestial Essence x 1. Permanently enchant a weapon to sometimes disrupt elementals when struck, dealing Arcane damage and silencing them for 5 sec. Requires lvl 300 or higher item. Video available for different internet connections including 1080HD. Special thanks go to Gibbygobby for posing for the camera. PCGamer talked with Starcraft II lead designer Chris Sigaty about Blizzard Entertainment’s plans for BlizzCon 2010. Blizzard won’t be showing Starcraft II: Heart of the Swarm at BlizzCon this year. However, they will have a Starcraft II Q&A panel to discuss loose end questions fans may have about the Wings of Liberty single player lore. Stewart McMichael (associate producer) invites BlizzCon 2010 attendees to a pre-screening event of the film titled “The Raid“. This pre-screening will take place at the House of Blues (across the street from BlizzCon). Join us and mingle with your favorite World of Warcraft fan community personalities. Famed coast-to-coast DJ, Big Daddy, spins World of Warcraft parody songs along with his unique take on the game’ original score. Give your take on the most anticipated documentary the World of Warcraft community has ever seen. The Raid will be a film about raiding and what it means to be a raider. We will capture the numerous hours invested by a diverse group of gamers in a complicated and choreographed digital environment, where every contribution weighs on their success or failure. We will watch, in person and virtually, as members strategize, fail, re-strategize, and inevitably find victory in their pursuits. We will sit with them in their homes and seek to understand the value this kind of commitment has in their daily lives, amidst their work, and within their families. We will question them about virtual achievements and their value. We will sit with social experts concerned about the growing issue of internet addiction and seek their opinions. We will question the future of the MMO experience and its place in the global landscape of culture, education, and business. Most of all, we will demonstrate and feel the excitement and energy of this kind of experience, which is so often criticized and misunderstood. “The Raid” Update – 8.9.10 from blue loon films on Vimeo. Arena Season 8 is ending in upcoming days and that means players got to hurry up to get their gear and spend those Arena points before they get wiped. Bashiok offers a few hints on what not to do before the season ends. You’d really want to get ahold of the Wrathful Gladiator’s Frostwyrm don’t ya? Listen up! [BLUE]We are currently planning to end Arena Season 8 as early as October 13. At that point we will go through our normal process to determine who is eligible for the end-of-season rewards. This process should take approximately one week. It’s very important for players who feel that they may be eligible for the Arena-specific titles and/or the Wrathful Gladiator’s Frostwyrm to refrain from transferring their character to another realm until after Arena Season 8 ends. [BLUE]We’ve revised the Justice Points conversion rate for Emblems of Triumph and Emblems of Frost. When the upcoming 4.0.1 patch goes live, these emblems will be converted into 11.58 Justice Points (up from the previously planned 2.75 Justice Points per emblem). Justice Points accrued above the soft cap of 4,000 will be converted to gold at a rate of 47.5 silver per point (down from 2 gold per point) when patch 4.0.3 goes live. The original explanation thread (http://forums.worldofwarcraft.com/thread.html?topicId=26850245012) and the subsequent conversion math update (http://forums.worldofwarcraft.com/thread.html?topicId=26850245012&sid=1&pageNo=10#184) have been updated to reflect these changes. The recent Cataclysm Patch removed all portals from Dalaran except for Caverns of Time and PvP Battleground/Arena; and all portals from Shattrath except Isle of Quel’danas. Instead, you will find class trainers where the portals used to be. This is a painful tradeoff in exchange of flying in Azeroth, but one we will have to get used to. With the absence of a new major city hub like Shattrath was for Outland, and Dalaran was for Northrend, players must get back to their roots: Orgrimmar and Stormwind as the main hubs for Cataclysm. Both major cities have portals to the high-end content regions: Mount Hyjal, Vashj’ir, Twilight Highlands, Deepholm, and Uldum. On the other hand, players with low level characters will have handy class trainers in Outland and Northrend and won’t be populating Orgrimmar as much. [BLUE]The reason the portals from Shattrath were not removed from Outland when Wrath of the Lich King released is that there was a new central hub with portals to all major cities in Northrend. There is no longer a neutral city hub which both factions will be using in Cataclysm. We want to ensure visiting the major faction capitals is still the most attractive thing to do in Cataclysm, rather than having people use Shattrath and Dalaran as easy connector hubs. SteelSeries, J!NX, BradyGames, and Cryptozoic Entertainment have joined once more to launch the third annual Win a Trip to BlizzCon Sweepstakes! One lucky Grand Prize winner will receive two tickets to BlizzCon, including airfare, hotel, and $300 in spending money! In addition, following winners get twenty prize packs worth over $2,500 in total. 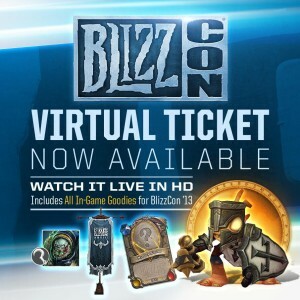 Personal Note: This is your chance to go to BlizzCon. It’s gonna be by far the best Diablo III reveal with the fifth class and lots of new features. Theorycraft — It is highly possible, not confirmed, among the topics Blizzard might be announcing are Starcraft II: Heart of the Swarm news, World of Warcraft film update, and the Next-Gen MMO reveal. By the way, Disneyland is right in front of the Anaheim Convention Center. What else can you ask? 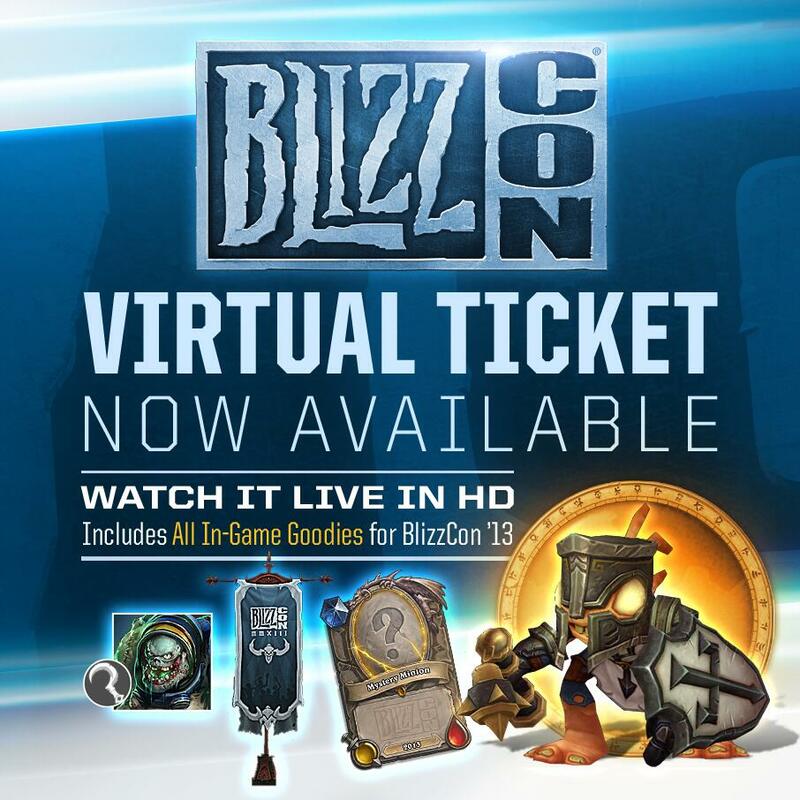 You don’t want to miss the opportunity to win that round trip airfare for 2 to BlizzCon. Enter today for your chance to win! No purchase necessary to participate. Future US, the special-interest media company, is offering new subscribers of World of Warcraft: Official Magazine the chance to win a trip for two people to attend BlizzCon, hosted by Blizzard Entertainment. Taking place at the Anaheim Convention Center on October 22-23, 2010, BlizzCon is an annual celebration of the Warcraft, StarCraft and Diablo franchises and the communities that surround them. 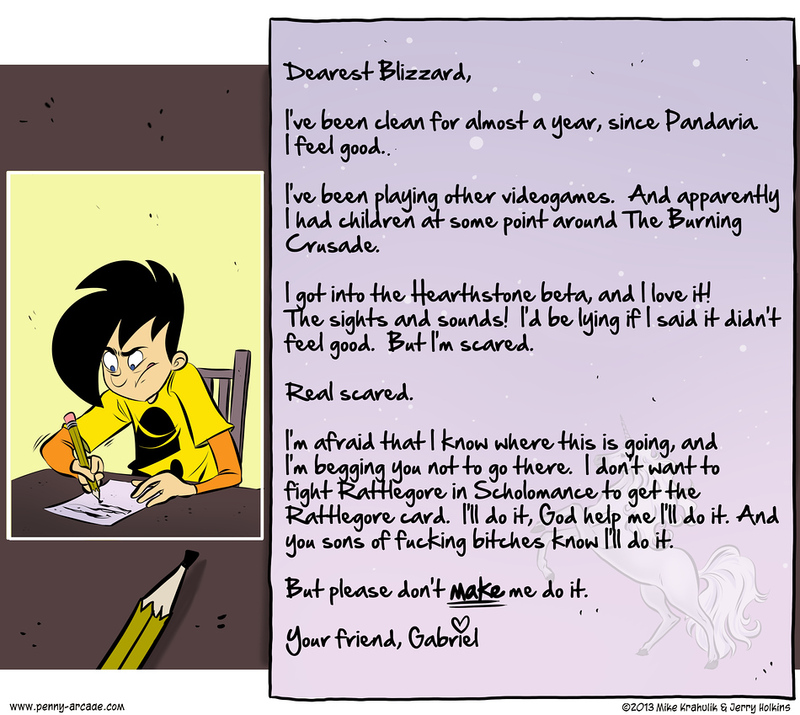 Today through September 30, 2010, new subscribers can submit an essay of one hundred (100) or fewer words describing why he/she would like to attend BlizzCon 2010, online at www.worldofwarcraftthemagazine.com. 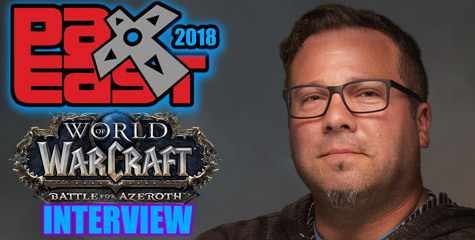 One Grand Prize Winner will be selected by a judging panel, comprised of editorial staff of World of Warcraft: Official Magazine, who will evaluate all eligible entries. Entries will be judged on the following criteria: equal parts originality, creativity, and consistency with theme. Judging will be completed by October 4, 2010. There is a limit of one entry per household and the contest is open to individuals only. For fans of the World of Warcraft franchise, BlizzCon offers a unique opportunity to meet fellow players and the game developers in person, take part in casual and competitive tournaments, attend panels and more. Attendees at the show can stop by the booth to purchase single issues of the magazine or sign up for a full year for $39.95. New subscribers of World of Warcraft: Official Magazine will receive a free green Murkie plushie, while supplies last. The contest is open to all new subscribers in the US, UK and Europe. There is also a no-purchase necessary submission option for US residents. The grand prize is a trip for two people to attend BlizzCon 2010, which includes roundtrip airfare, three nights hotel and passes to the event. For more information on the BlizzCon trip for two contest and how to subscribe to World of Warcraft: Official Magazine, check out www.worldofwarcraftthemagazine.com, their Twitter and Facebook. The Dragonmaw Clan barely survived after the second war, and took refuge deep into the lands of Grim Batol now known as the Twilight Highlands. In the present, the Dragonmaw has to deal with three enemies in all its flanks: the black dragonflight, the Wildhammer dwarves and the Twilight’s Hammer clan. Warchief Garrosh Hellscream led a zeppelin fleet toward the Twilight Highlands to destroy Cho’gal and his forces, but the fleet is intercepted by the black dragonflight. Ashore, adventures must test the waters and see if the Dragonmaw clan takes sides with the Horde to fight a common enemy. Brave the horrors within Grim Batol and the Twilight Citadel to put an end to Cho’gal, Deathwing, and the Old gods’ plans. The Earthen Ring arrives to the sunken lands of Vashj’ir after the Horde fleet is sunken by the naga. Players quickly help the survivors settle in underwater caverns to group up and explore the depths. L’ghorek and Nespirah, two ancient trilobites, reveal the naga has allied with the faceless ones to assault Neptulon the Tidehunter. It’s the Earthen Ring’s mission to prevent the fall of Neptulon. Adventurers may join their cause and don the Earthen Ring tabard to gain reputation in Heroic Cataclysm dungeons. Players can find the Earthen Ring Quartermaster at the Silver Tide Hollow located in the Shimmering Expanse (see the map). Lead Content Designer Mumper calls PvP fans to queue to Tol Barad to help test the battleground. The developers will fight along with players. It’s a good way to get a feeling of the event to provide your feedback and suggestions to the developers. A forum thread will be open after this test ends. [BLUE]We are planning to do a focused playtest on Tol Barad on Monday the 27th at 4pm PST. We would like to get as many players out there on the beta to help us as possible. You must be level 85 to join the battle. We will speed up the game timer so we can play multiple games during the test. I will make a new feedback post after we finish the test for everyone to post in. Feedback is very important for us at this point so please take your time and try to be as concise as possible with your findings. Players who adventure into the elemental plane of earth, Deepholm, will face several dangers to help the Earthen Ring restore balance between Azeroth and Deepholm in order to save both realms. Deathwing had been hidden in Deepholm since the second war, and with the assistance of the Twilight’s Hammer he emerged into Azeroth causing a rift between both realms that sundered the Maelstrom. Deathwing’s plan with this was to disable Uldum’s defenses. This week I will be posting most of the Cataclysm Quartermaster factions, tabards, reputation loot and heirlooms. I will add each loot as images instead of links so that you can compare and check out all the loot comfortably. You can find the Cataclysm Quartermasters in the right menu under Cataclysm for future reference. The Ramkahen faction is a spinoff of the Tol’vir race. Their sworn enemies are the Tol’vir from Neferset. These allied with Deathwing and accepted the gift from Deathwing’s herald: Siamat (Lord of the South Winds) is a level 87 elite Elemental … a djinn. He empowered the Neferset by removing their curse of flesh, and reverting them to their metallic state.